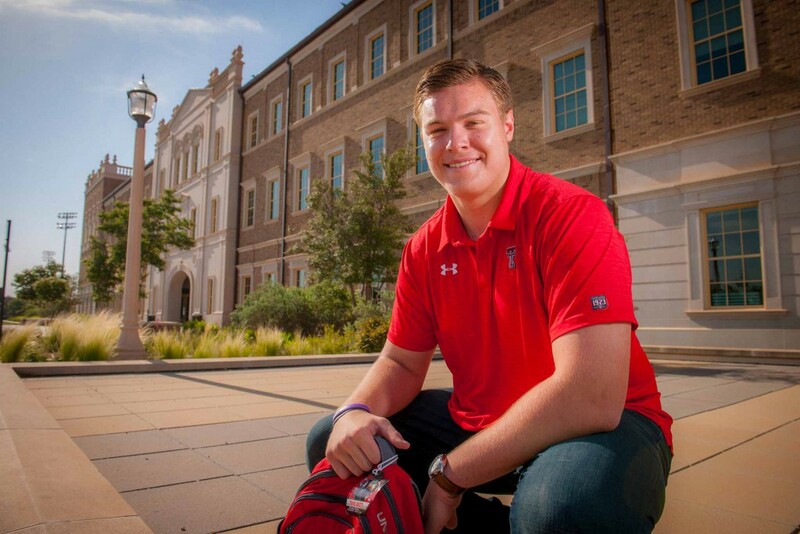 How philanthropy made a difference for five Texas Tech student-athletes. When Travis Bruffy was playing middle school football in Missouri City, just outside the Houston Beltway, his mother told him that to go to college he’d need to get an athletic scholarship, join the military or take out student loans he’d be paying back until he was 50. As schools started recruiting the offensive lineman, she had one other bit of motherly advice: go anywhere but Texas Tech. 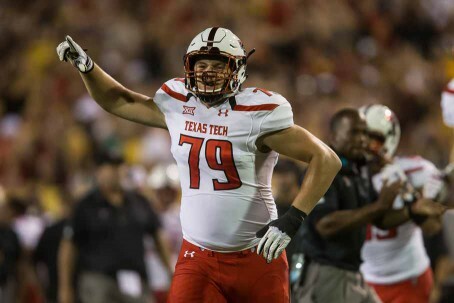 So how did he end up as the Red Raiders’ starting left tackle? Back to that story in a bit. 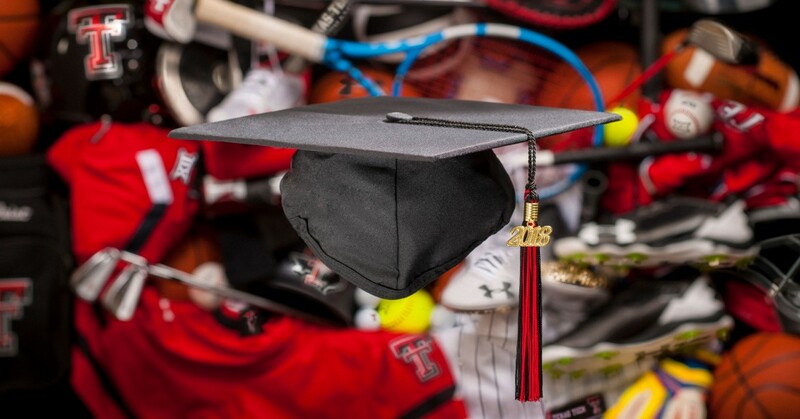 Through endowed scholarships and annual gifts to the Red Raider Club, Texas Tech Athletics offers 236 full and partial scholarships — enough for more than half the 415 student-athletes who play for one of 17 Red Raider teams. “Scholarships allow us to provide life-changing opportunities for student-athletes,” said Kirby Hocutt, Texas Tech director of athletics, adding that a college graduate can potentially earn $1.2 million more over their career compared to someone without a degree. The awards take financial pressure off families, allow the student-athlete to focus on athletics and academics, and enable them to finish college without debt. For Hocutt, scholarships are vital to his mission to educate, serve and grow fearless champions. So much so that he made doubling the department’s scholarship endowments one of his priorities for The Campaign for Fearless Champions. Already it’s making an academic impact. Last spring, the average student-athlete GPA was 3.2 — the seventh straight term it has been 3.0 or higher and the highest in school history. Sixty-two student-athletes had GPAs of 4.0 and the 84 percent graduation rate was the highest ever. The student-athletes who benefit understand the impact scholarships make in their lives. Head football coach Kliff Kingsbury got former Red Raider and then-New England Patriot Danny Amendola and his famous teammate Rob Gronkowski to shoot a video on the team plane last December to tell defensive back Justus Parker he was getting a scholarship. After he received the clip, Kingsbury gathered the team for the special announcement. “When you bring your best each and every day, it will be rewarded,” he added. Here are stories of five student-athletes who do just that, and who benefit from the philanthropic gifts that make their scholarships possible. The twin soccer players from Fort Worth recently sat in Gwennie Puente’s new car — and cried. They’d always shared a car. But they needed two cars this summer, because Gwennie Puente had an internship and her sister Gabbie Puente was working as a nanny. Tears flowed as they thought about their eventual separation. “Before college we spent five days apart,” said Gwennie Puente. 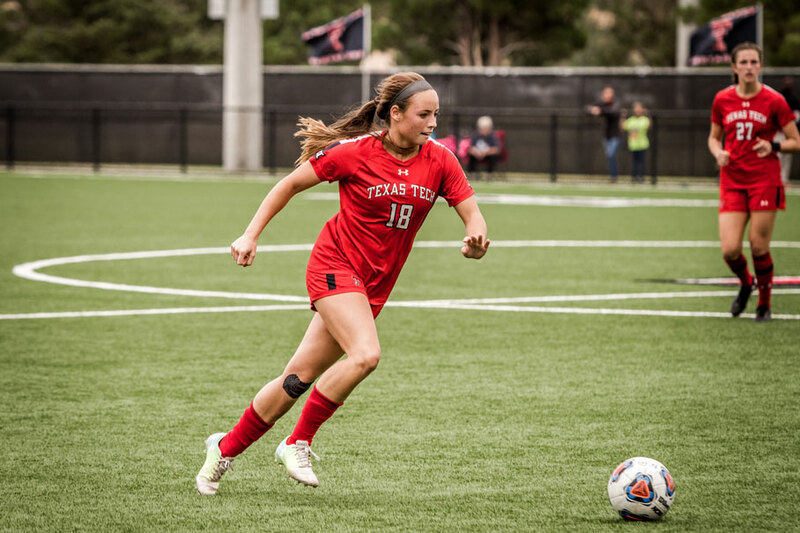 When Gabbie Puente couldn’t travel with the Red Raiders on a road trip early in their time at Texas Tech, Gwennie Puente caught a bad cold. Everyone on the team blamed it on the twins being apart. Another example is when they’re asked about their favorite moments on the pitch. 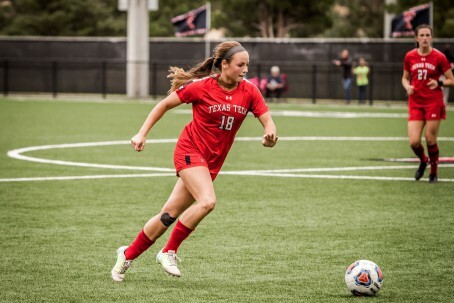 Gwennie Puente’s highlight is easy — scoring a goal to win the Big 12 championship. “It was a team play and a team goal. I was just lucky enough to finish it,” she said of the 1-0 win over Kansas in late 2015. The Kansas goalkeeper deflected a shot. Teammate Jordan Duke kept it inbounds to the left of the goal and passed it to then-freshman Gwennie Puente, who one-touched it into the net. There are two — the first one is Gwennie Puente’s title-winning goal that she watched from the sidelines as a redshirt freshman. “I completely started tearing up. I’m her biggest fan in the entire world, and if she could play the rest of our lives, I’d buy an RV and follow her around. I was so, so proud of her. We hugged right after,” Gabbie Puente said. Her other moment was also connected to her sister. A year later, Gabbie Puente was playing Oklahoma and got “super frazzled with two defenders on me. I passed the ball to Gwennie. She spun out of trouble,” she said. Defender Gabbie Puente, left, takes the ball down field against Kansas at the John B. Walker Soccer Complex on Sept. 24, 2017. Forward Gwennie Puente, right, maneuvers around a Minnesota defender during play at the Walker complex on Sept. 6, 2015. When different colleges recruited the twins in high school, they considered going to different places. “We thought about it, but decided we have to stay together,” Gwennie Puente said. Texas Tech was the first school to recruit both. Gwennie Puente is a recipient of the Mike and Jan Dallas Red Raider Lifetime Scholarship, while her sister benefits from the Gerry and Ben Alexander Red Raider Lifetime Scholarship as well as the Marc and Betsy Wise Red Raider Club Lifetime Scholarship. Their older sister also goes to Texas Tech and has to work until 8:30 in the evening, then come home and stay up late to do her school work. Being on scholarship means the twins have more time to put in extra work on the practice field, spend time in the weight room or just rest. “We need to fuel our bodies to perform at the highest levels on Fridays and Sundays. It’s important we get sleep. We can’t be sleep deprived and run our fastest and jump our highest,” Gabbie Puente said. It also gives them more time to focus on academics. They’ve both made the Academic All-Big 12 Team and have enviable GPAs. “It makes us real proud. We work hard on the field, but extra hard off the field. Female sports can only take us so far, so having our degrees will set us up well for our careers,” Gabbie Puente said. Gwennie Puente just applied to grad school for an MBA in finance and hopes to help college students figure out how to afford college and prepare them for a career. Gabbie Puente wants to pursue a master’s degree in strategic communications and then work for an ad agency. “I enjoy talking and making pitches,” she said, adding that she’d really love to make a living making hype videos, if possible. Gabbie Puente is also not shy about pointing out her GPA is higher, even if only by a fraction of a point. They love to compete with each other. When lifting weights, if one gets a personal record, the other wants to go five pounds better. Gwennie Puente said it’s a healthy competition where they push each other, but also support each other along the way. “I took a finance test and thought I did poorly, and Gabbie pointed out it was only one test,” said Gwennie Puente, who returned the favor helping Gabbie study for an economics course. Gwennie Puente will play her senior season later this year, and Gabbie Puente — because she was a redshirt that first year — will play without her sister the following year. They aren’t looking forward to that separation either. High jumper Trey Culver has left a legacy of athletic accomplishment at Texas Tech. 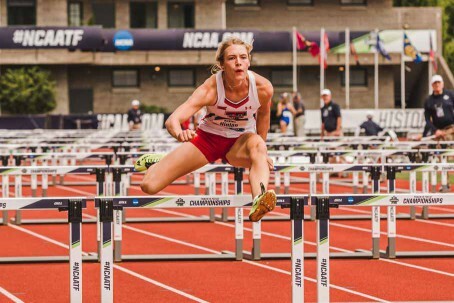 But the preacher’s son’s most important impact could be his drive to help others, leading a Bible study for his track and field team with help from teammate and girlfriend Kaylee Hinton and other student-athletes. “What an influence they have. 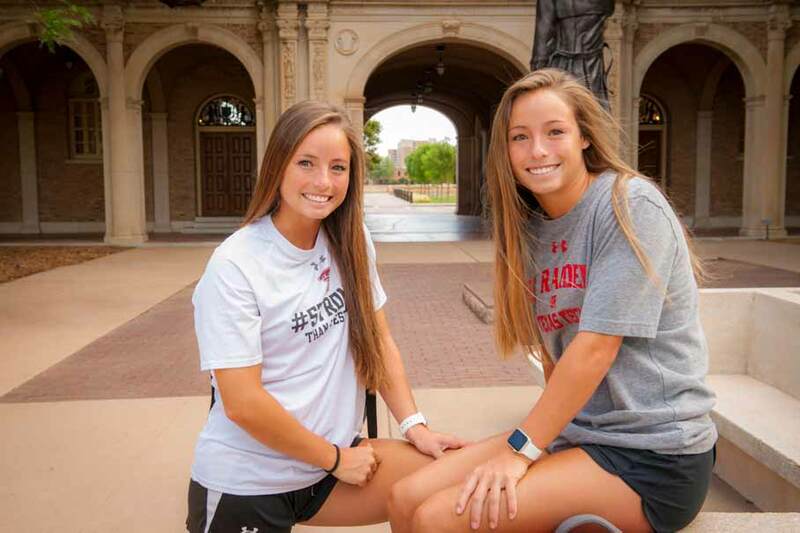 They want people to be good people and represent Texas Tech in the best way possible,” said Wes Kittley, director of track and field and cross country. Sometimes a handful of team members take part; sometimes it’s a couple of dozen. “Having teammates holds you accountable,” said Hinton. “It helps people each week,” added Culver. 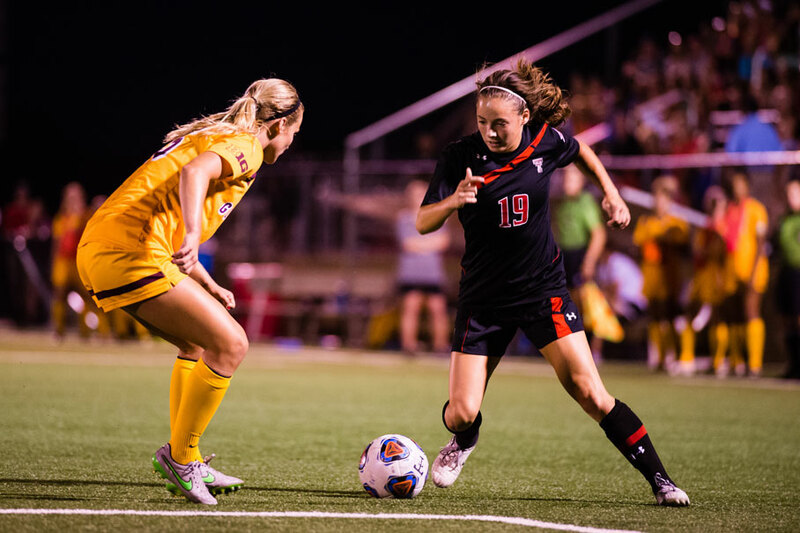 In addition to building community among their peers, Culver and Hinton have made the most of their time at Texas Tech on the field and in the classroom. His 2.34-meter jump at the Corky Classic earlier this year, which opened Texas Tech’s new Sports Performance Center, was the fourth best jump in indoor NCAA history. And his improvement from high school to college is the best of any verifiable All-American in NCAA history. 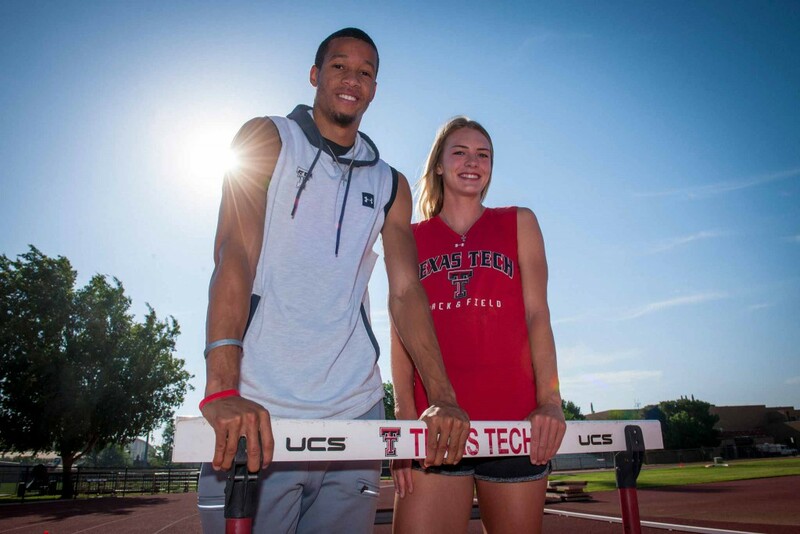 Owns the top two heptathlon performances in Texas Tech history. Represented Team USA in three consecutive international track and field meets. They’ve both been on the first team Academic All-Big 12, and Culver recently became the first track & field Red Raider named to the Google Cloud Academic All-District First Team by the College Sports Information Directors of America. “It’s incredible what they’ve meant to the program,” said Kittley. Kaylee Hinton, left, clears a hurdle during a heptathlon event at the NCAA Outdoor Championships. 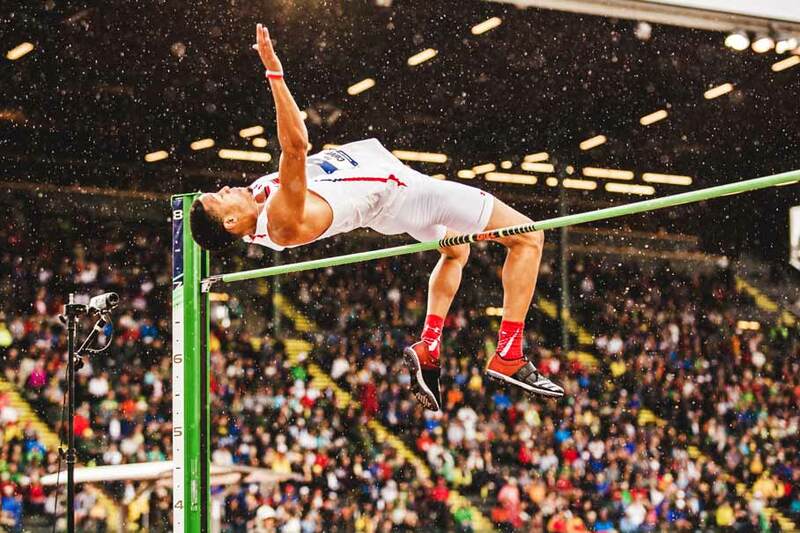 Trey Culver, left, sails over the high jump bar as rain falls at the same meet held June 8, 2018, in Eugene, Oregon. When Culver arrived on campus, he had partial support to cover books, but he earned a full scholarship. “He’s the epitome of the walk-on who’s made good. I love his humble spirit and how he wants to help everybody,” said the coach. Culver joined a team with eventual Olympian Bradley Adkins and two-time national champion JaCorian Duffield. “He had two good examples and took it to another level. What they didn’t know about Trey was his work ethic. We take pride in lifting heavy. You need to be able to squat 500 pounds to high jump and he squatted 550. He refused to be average,” said Kittley. But she went through a period of adjustment during her freshman year. Texas Tech’s nutrition program helped her eat and take care of herself. She gained some maturity. Getting close to Culver helped, said Hinton. “They started dating, and he was a great example,” said the coach. When Hinton came to Texas Tech for college, she was returning to Lubbock, where she lived until she was 9 years old. “It gave me an opportunity where I felt I was wanted,” she said of being offered a full scholarship. 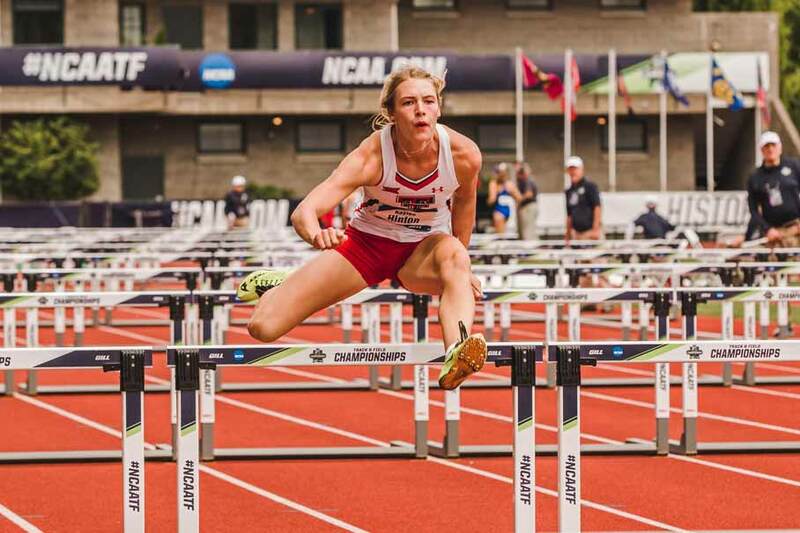 Being able to focus on academics and track makes a “huge difference” for Hinton. It also serves, she said, like an intro to real life. “You have to work hard. Nothing is just handed to you. It helps you keep an eye on the prize and work 100 percent to ensure a good career,” she said. 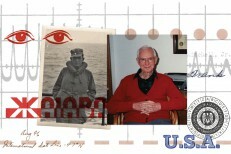 Culver benefits from a scholarship awarded by the Ned Creed Memorial Endowment Fund. “It’s just a blessing to our family,” said Culver, who has two other college-age brothers, including Red Raider basketball player Jarrett Culver, the freshman who helped take the Red Raiders to the NCAA Tournament Elite Eight. “When you receive something like that you feel wanted and appreciated, and I don’t have to stress with my family on how to pay for school. It showed me that my hard work paid off,” said Culver. “It definitely gives you a grateful aspect,” he said. Culver pointed out that Texas Tech gives student-athletes more than just scholarship support, mentioning the J.T. & Margaret Talkington Leadership Academy as one example. “There are so many people from top to bottom in the Texas Tech athletics department who are here to help us,” he said. Culver explained what the CoSIDA academic award meant to him. “I really appreciate those awards. Sometimes you can take school for granted — you don’t treat it like a big track meet. But it is a challenge. Then you look up and get a big academic award, and it proves you were working hard and handled your business in academics as well. It shows people a lot of athletes handle business in the classroom,” he said. Culver wrapped up his college track career in June at the NCAA Outdoor Track & Field Championships. He’s already working on a master’s degree in sports management after getting his undergraduate degree in psychology. Culver wants to keep jumping, but eventually wants to coach or become an athletic director. Hinton is pursuing a kinesiology degree with a public relations minor and would like to be a public relations specialist for a professional sports team. Bruffy’s mom played golf for Texas A&M and faced off against Texas Tech in the old Southwest Conference. “She hated Lubbock,” said her son, who enters his junior season this fall. But when Texas Tech called, she agreed to make the trip to the Hub City. “After one visit, she looked at me and said, ‘This is where you belong,’” he said. “She fell in love with the place,” Bruffy said. While visiting campus, they took a tour of the Rawls College of Business. “They shook my mom’s hand and were genuinely interested in her and showed West Texas hospitality,” he said. “I have not seen her wear maroon since I committed here — just red and black,” Bruffy said. He also went to the “crazy” 55-52 Texas Tech-TCU football game in 2015. “The crowd was loud, and the Raider Power chant gave me goose bumps down my spine. And I said ‘This is home,’” he recalled. Bruffy benefits from the J.T. and Beth King Scholarship Endowment. 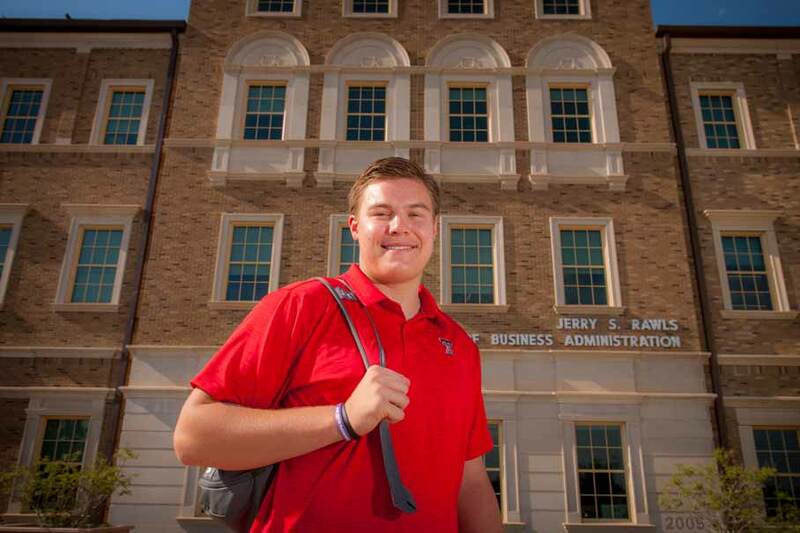 The finance and accounting major said his scholarship motivated him to add a second major. “Once I started applying myself more I saw my grades increase,” he said. “I don’t know where I’d be without the scholarship. It lifted the financial burden and opened so many doors,” he said. 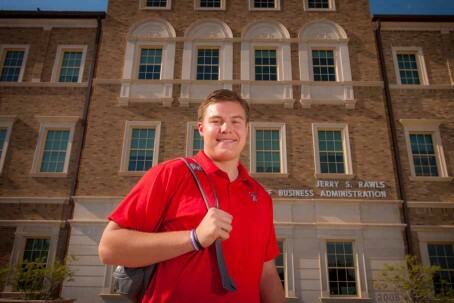 One door was a three-week internship in May with an oil and gas company in Midland owned by former Red Raiders Cody Campbell and John Sellers. “I learned so much about operations and land acquisition, and I’m grateful for the opportunity,” he said. “I love numbers and math and want to see where that road takes me,” he said. Bruffy plans to pursue a graduate degree, maybe an MBA or law school. Does math translate to the football field? “Math teaches you problem solving skills. Half the stuff you look at in college math is not numbers, but something you look at that looks foreign. And you have to find answers,” he said. “The guys on our offensive line are all pretty cerebral. We communicate at a high level and problem solve together,” Bruffy said. Travis Bruffy, left, celebrates after a play during the Red Raiders victory over Arizona State in Tempe, Arizona, on September 10, 2016. 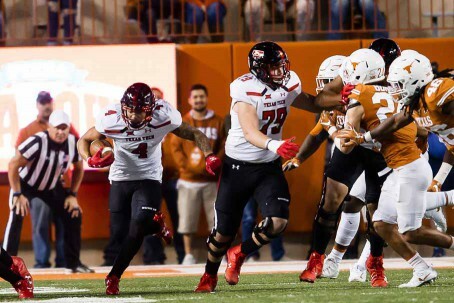 Bruffy, center, right photo, blocks for senior running back Justin Stockton during Texas Tech's victory over Texas in Austin on November 24, 2017. Heading into the Texas game last season, the O-line prepared all week for the Longhorns to use four down linemen on defense. But Texas changed and started using three down linemen. “We huddled up in the middle of one of our drives, made adjustments and rushed for a lot of yards,” he said, of a game the Red Raiders won 27-23 to be bowl eligible. And there’s one other way math comes in handy on the football field. “It helps to be able to count to 11 to make sure you have the whole team on the field,” Bruffy said. He also feels lucky to be surrounded by role models in the athletic department. “I’m also fortunate enough to play for someone as outstanding as Mr. Hocutt. He has rock solid character, and there’s no one I can look up to more than him. All his responsibilities and influence he has on people is amazing. Every time I come back after a break something is improved,” Bruffy said. “I’m also really fortunate enough to have great role models like coach Kingsbury and [football chief of staff] Kenny Bell. They are always pushing us to be our best on the field and in the classroom, and that drives the culture and program,” he said. Kingsbury returned his player’s compliments. “Travis was not the biggest guy coming out of high school, and he’s taken advantage of the opportunity. He was 250 pounds when he came here, and now he’s stronger and 300 pounds. He’s worked very hard at what he wants to be,” his head coach said. Kingsbury also mentioned Bruffy was one of two Big 12 athletes chosen to talk to the NCAA about student-athlete issues like time management and balancing athletics with the rest of student-athlete life. “It was a big honor,” Kingsbury said.